Centogene’s CentoMD rare disease variant database will be integrated with Qiagen’s bioinformatics suite through a collaboration designed to combine sample-to-insight research and clinical testing solutions in rare genetic diseases, the companies said. Under the companies’ collaboration and co-marketing agreement—whose value was not disclosed—CentoMD will be added to the Qiagen Knowledge Base and Qiagen Clinical Insight (QCI) bioinformatics solution. Qiagen has agreed to serve as the exclusive global commercial distribution partner of CentoMD, while Centogene has agreed to license Qiagen’s bioinformatics solutions to support Centogene’s rare disease diagnostic testing services. Centogene and Qiagen also said they will work together to develop advanced machine-learning methods to improve clinical prediction. Until now, the companies have been sharing data through the Allele Frequency Community, a freely accessible “opt-in” community resource designed to facilitate sharing of anonymized, pooled allele frequency statistics among laboratories for the benefit of patients and biomedical research. Qiagen is one of 18 institutions and companies listed as co-founders of the Community. Centogene’s test portfolio includes genetic, biochemical and biomarker analyses in 12 major rare disease areas using whole genome sequencing, through exome, panel based testing, as well as single gene testing. In addition to QCI and Knowledge Base, Qiagen’s bioinformatics portfolio includes offerings designed for the analysis, interpretation and reporting of biological data—such as Ingenuity Variant Analysis, HGMD, CLC Bio and OmicSoft software, as well as related databases. Qiagen has moved to expand its bioinformatics offerings over the past year. In January, Qiagen acquired OmicSoft for an undisclosed price, in a deal designed to enhance the buyer’s bioinformatics portfolio by adding key features for the management, analysis and sharing of both primary data and analyzed results, while also expanding the range of Qiagen’s translational and clinical applications. “By combining deep, expertly curated resources from Qiagen and Centogene, we will deliver powerful insights for researchers and clinicians and ultimately help patients and families deal with rare and hereditary disorders,” added Laura Furmanski, Ph.D., SVP and Head of Qiagen’s Bioinformatics Business Area. 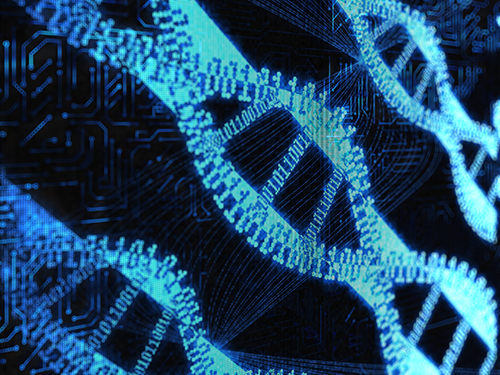 In a note to investors on the collaboration, Zacks Equity Research cited a Markets and Markets report projecting that the global bioinformatics market will reach $16.18 billion by 2021, at a compound annual growth rate of 21.1%. “We believe increased spending on healthcare by government and private organizations, rising awareness triggering need for nucleic acid and protein sequencing and technological innovations and development on the back of successful partnerships between companies and research institutes will continue to drive growth in the bioinformatics market. Thus, the latest development will help Qiagen cash in on the bountiful opportunities in the niche market,” Zacks concluded.